Setting off from Cardiff Bay we take you through the locking system at Cardiff Bay Barrage. Depending on the tide, we will either rise or fall to meet the sea level outside. Once in Bristol Channel, we will cruise along the Welsh coastline taking in the sights of Penarth, Lavernock Point and Sully, before accelerating off to Flat Holm Island. 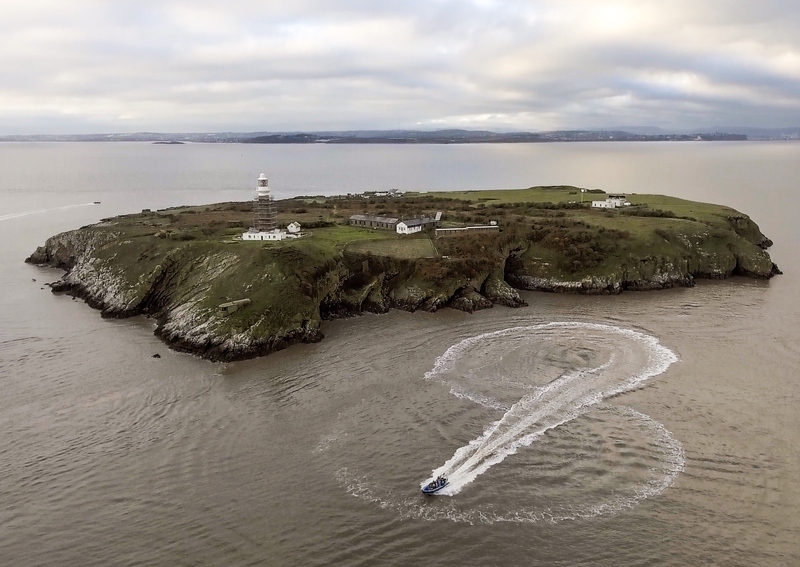 At Flat Holm we can demonstrate the effects of the second highest tidal range in the World to you, as well as providing a brief history of the Island, the wildlife it has to offer along with it’s history. There is always time for a photo at the most Southerly point in Wales too. Depending on the tide and the weather, there is also a chance for some great fun playing in the waves along the way! For a short trip this really does pack a lot in, high speed adrenaline, history, wildlife and spectacular views, suitable for all.